← Jupiter! Amazing amateur astrophotography. Welcome to 2011: International Year of Forests and Chemistry! With the close of 2010, the UN’s International Year for Biodiversity and Rapprochement of Cultures, we welcome in 2011, International Year of Forests (UN) and Chemistry (UNESCO). So was the International Year of Biodiversity a success? 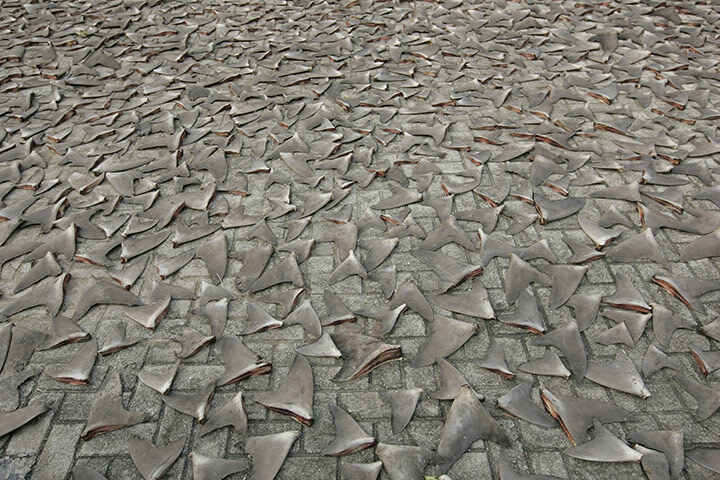 Shark finning - still a problem in Indonesia. Click for a gallery of biodiversity wins and fails in 2010. The official UN page still has lots of resources for biodiversity, including videos and reports. There is a also a good resource of articles and information from the International Institute for Environment and Development. One of the key conservation events last year was COP-10 in Nagoya – the Conference of Parties to the UN Convention on Biological Diversity. There are some good articles on the build-up and outcomes of COP-10 available at Current.com, as well as a summary at Wikipedia. The Guardian’s George Monbiot reviews the conference here, and they also have their own environmental review of 2010. Eco-wins: new marine parks, recovering waterways, ecosystem pledges in Nagoya, and the hundreds of ground-level conservation and environmental efforts taking place across the globe. Also, 2010-2020 has been declared the decade for biodiversity! Eco-fails: Deepwater Horizon, we’re still overfishing, forest clearance rampages on and what are we really doing about plastic pollution, water pollution, air pollution, factory farming, habitat destruction and uncontrolled urbanisation? Although global deforestation appears to be slowing down, it is still continuing at an alarming rate, according to the UN’s 2010 report on global forest resources. So what can we do about it in the International Year of Forests? The International Year of Chemistry 2011 aims to celebrate the achievements of Chemistry and its contrbutions to the well-being of mankind. Head on over to chemistry2011.org, the official page, for a growing wealth of resources and ideas. Don’t forget that from August 2010 to August 2011 is also the International Year for Youth. Phew – so much to think about and take action on in 2011! Have a great and productive 2011, and remember that everything we do in class can be applied to life beyond school and to the global issues we face – and you will have to deal with. I’ll be trying to postaweek2011 through the year. Why don’t you have a go too? Posted on January 1, 2011, in Uncategorized and tagged Chemistry, development, ecology, forests environment, Free Resources, postaweek2011, un, unesco. Bookmark the permalink. 4 Comments.